At the age of four, Scottsdale private eye Lena Jones was shot in the head and left to die on a Phoenix street. After her rescue, she spent years in the abusive foster care system, never knowing who her parents were and why they didn't claim her. When Desert Redemption begins, she still doesn't know her real name. Lena's rough childhood--and the suspicion that her parents may have been members of a cult--keeps her hackles raised. So when Chelsea, the ex-wife of Harold Slow Horse, a close friend, joins a "new thought" organization called Kanati, Lena begins to investigate. She soon learns that two communes--polar opposites of each other--have sprung up nearby in the Arizona desert. The participants at EarthWay follow a rigorous dietary regime that could threaten the health of its back-to-the-land inhabitants, while the more pleasure-loving folk at Kanati are dining on sumptuous French cuisine. On an early morning horseback ride across the Pima Indian Reservation, Lena finds an emaciated woman's body in the desert. "Reservation Woman" lies in a spot close to EarthWay, clad in a dress similar to the ones worn by its women. But there is something about her face that reminds Lena of the Kanatians. While investigating, Lena's memory is jolted back to that horrible night when her father and younger brother were among those murdered by a cult leader named Abraham, who then vanished. Lena begins to wonder if either EarthWay or Kanati could be linked to that night, and to her own near-death. Could leaders of one or both shed light on what had happened to Lena's mother, who vanished at the same time as Abraham? As a journalist, Betty Webb interviewed U.S. presidents, astronauts, and Nobel Prize winners, as well as the homeless, dying, and polygamy runaways. 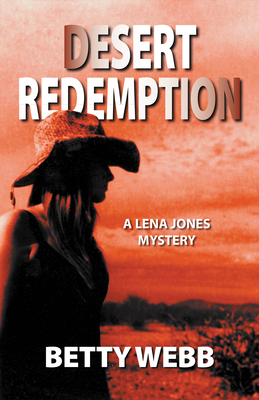 The dark Lena Jones mysteries are based on stories she covered as a reporter. Betty's humorous Gunn Zoo series debuted with the critically acclaimed The Anteater of Death, followed by The Koala of Death. A book reviewer at Mystery Scene Magazine, Betty is a member of National Federation of Press Women, Mystery Writers of America, and the National Organization of Zoo Keepers.